The decisive influence of famous, quality Speyside malts gives Cutty Sark its fresh, lightly peated style. 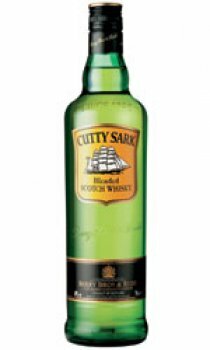 Cutty Sark is matured in the Highlands of Scotland, principally in American oak casks which have been used previously for Oloroso sherry. It is these casks which give Cutty Sark its soft vanilla notes and light colour. Cutty Sark's consistent balance is achieved by returning the mature, blended single whiskies to cask to settle for a further six months before bottling.